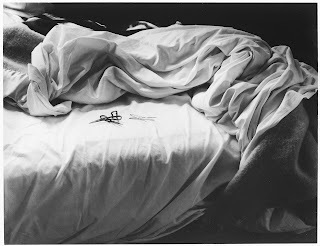 This post is about beds...profound places, meaningful in so many ways....we are conceived and born in beds, they're mystical places we sleep and dream in, find comfort and safety there, they are places for physical intimacy, embraces, for sharing secrets, being vulnerable and letting down our defenses, for play, rejuvenation and day dreaming. It's the coziest place to be with our children.When we travel we get a hunger to sleep in our own beds. They calm and nurture us when we're sick, or melancholy, helping us to heal. 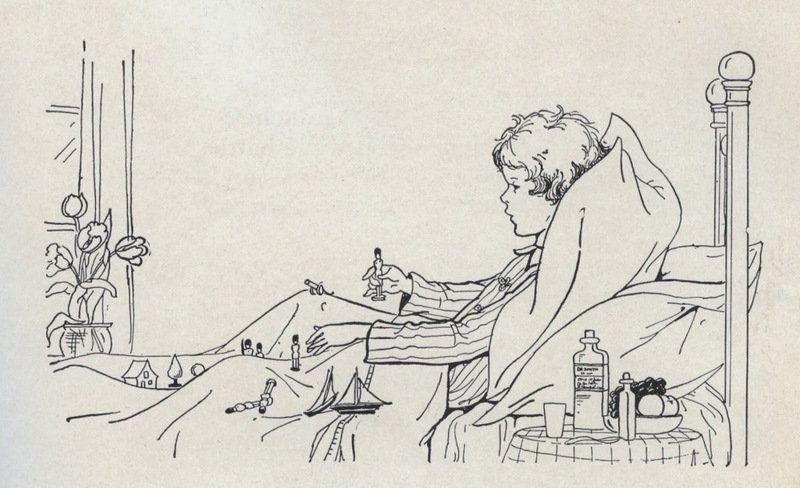 As children they become our islands of fantasy....boats in shark filled seas, tents under the blankets. Long hours reading in bed is one of the great luxuries. Going to bed is a ritual...we put on special clothing made from soft materials that don't constrict us the way other clothing does. Most of us hope to meet our ends peacefully there, surrounded by loved ones. 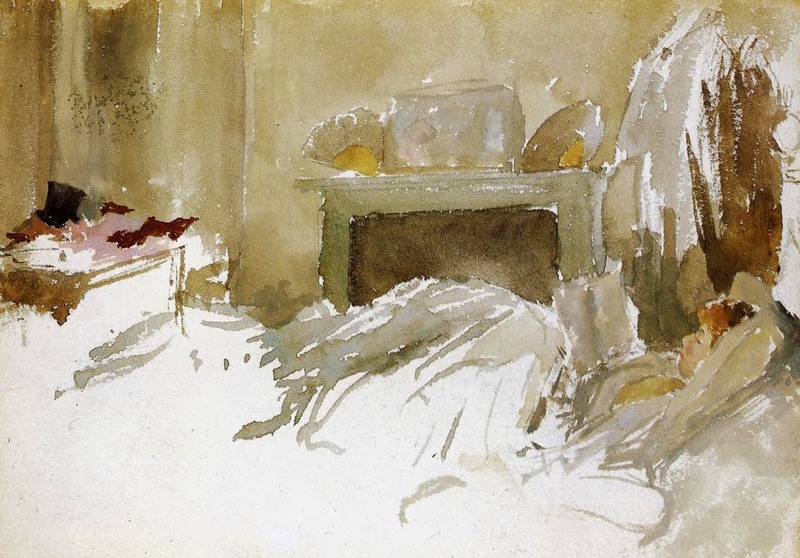 Given how large a role the bed plays in our lives it seems worthwhile to make it wonderful. With that in mind, here are some images that might help you think about the bed you'd wish to spend your time in. Above: The white on this bed glows...there must be a window we can't see on the left. The gathering on this linen bedspread keeps the white from being too plain, and the simple flowered pillow gives just enough detail to make this bed special. The low ceiling is like a canopy. 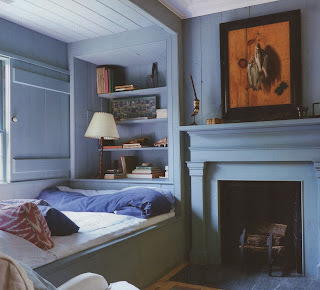 This room is in John Derian's house in Provincetown. 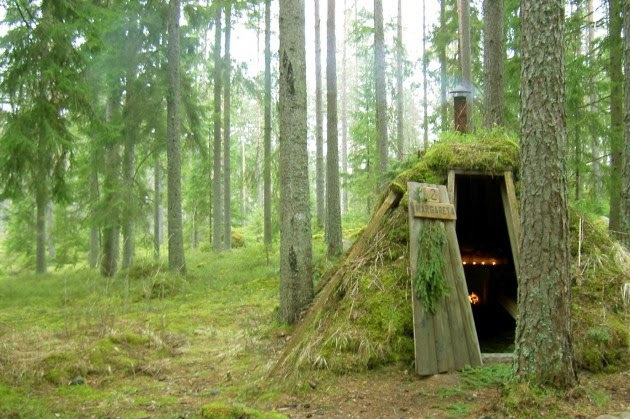 It's a house that I've referred to before...one of my favorites. Above: I like the hidden placement of this bed. The use of a subtle but rich color is very graphic. This is in Bellinter House, a Manor hotel outside of Dublin. 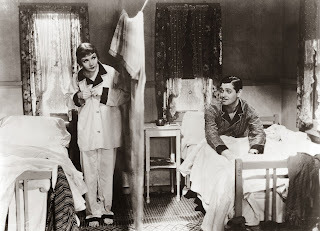 Above: Scene from "It Happened One Night". 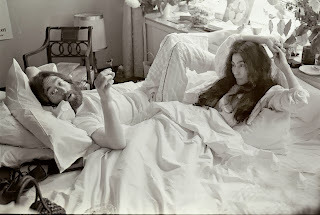 Above and below: John Lennon and Yoko Ono's Bed-In. 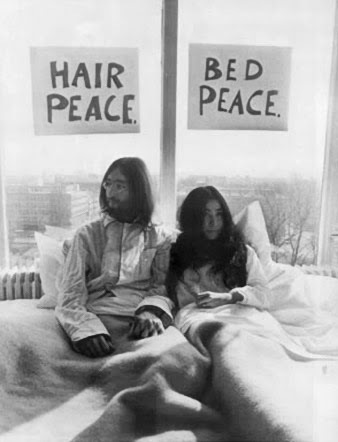 Upon the occasion of their wedding, John and Yoko decided to promote world peace by hosting a "Bed-In" for a week, March 25-31 1969, visiting hours 9AM-9PM, at the Amsterdam Hilton Hotel, rm. 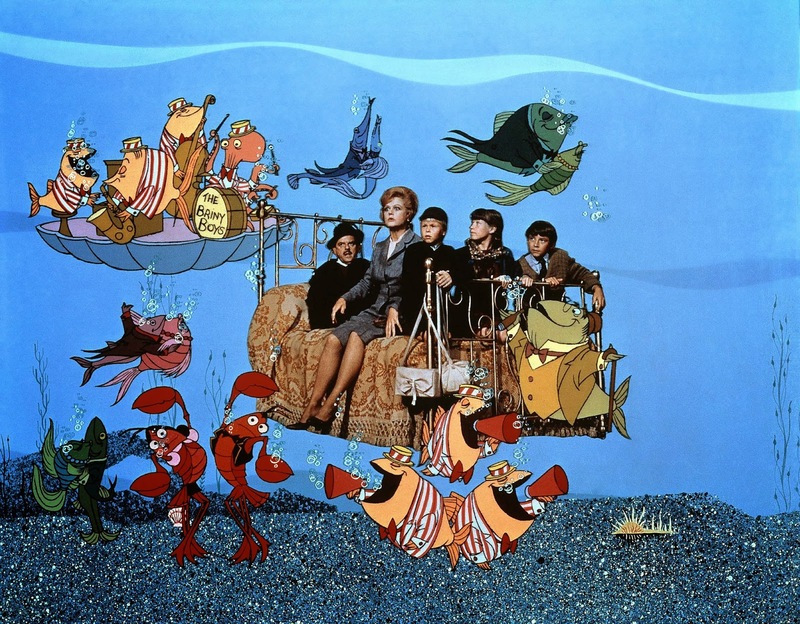 902. They invited press to come visit. 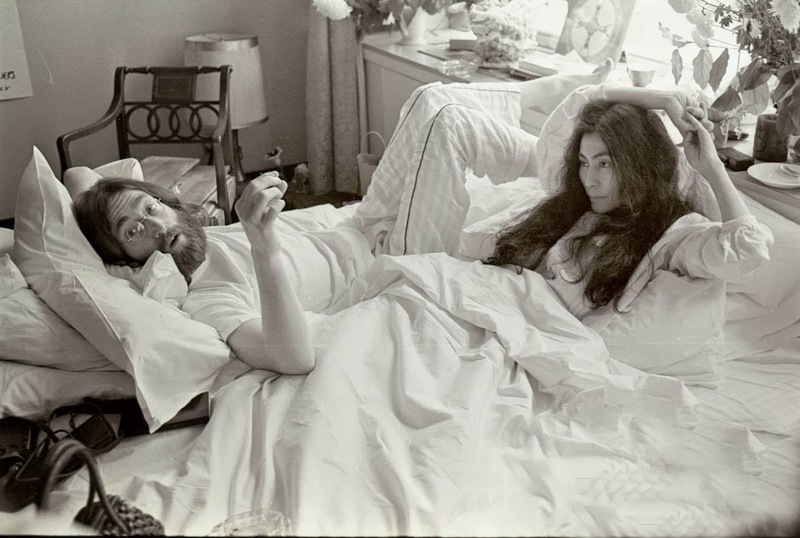 A couple of years ago Yoko Ono put this film of the Bed-In up on youtube. 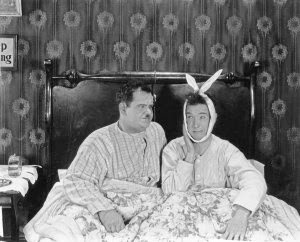 Above: Another couple in bed...Laurel and Hardy. Above and below: Mick Jagger and Anita Pallenberg in the 1970 film "Performance". 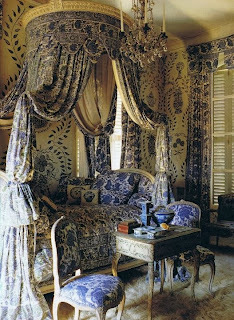 The bedroom in this scene is layered with exotic fabrics. 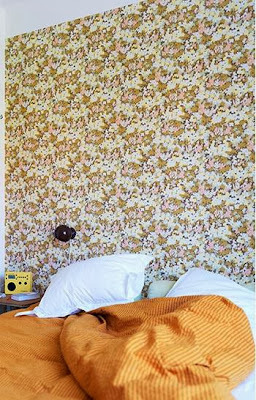 Above: The richness of color makes the simple combination of a duvet and wallpaper luxurious and sensual. 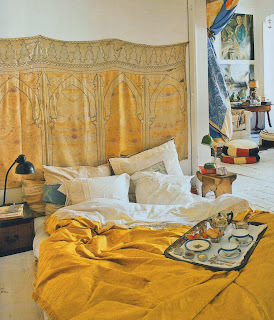 Above: The golden silk damask makes a perfect bedspread...just the right weight, and luxurious in a messy casual way. The Moroccan "haiti" panel pinned to the wall makes an excellent headboard. 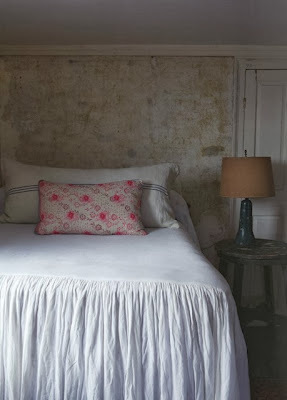 Above: I like this kind of headboard...it's soft to lean against, and slipcovered for cleaning. The vibrant color which continues in the bed skirt provides the character, repeated in the flowers on the night table. 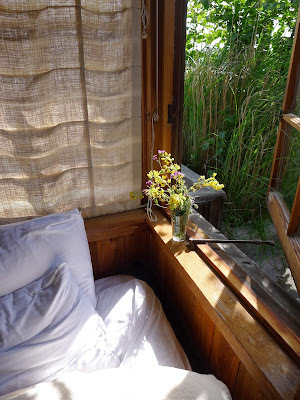 A small bunch of flowers on the night table makes a huge difference...something you do for yourself. Above: Joseph Mallord William Turner "A Bedroom with a Fire Burning, and a Bed with Yellow Curtains" 1827, Gouache and watercolor. 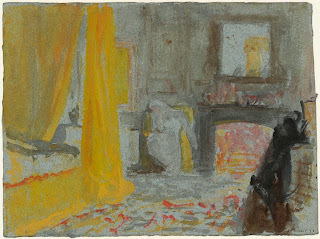 The long drapes around the bed in this painting and the one below make physical enclosures like tents giving privacy and warmth. The rich colors glow like a fire or the sun. 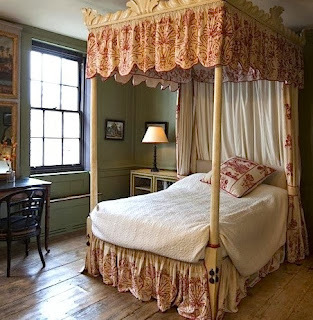 Above: A room in a Spitalfields Guest House. 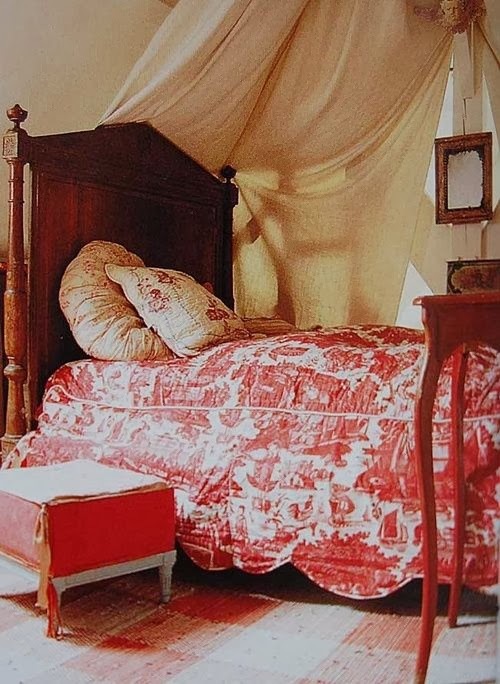 As fantastic as the canopy and skirt are with the beautiful red embroidery the bed doesn't feel formal or off-putting. 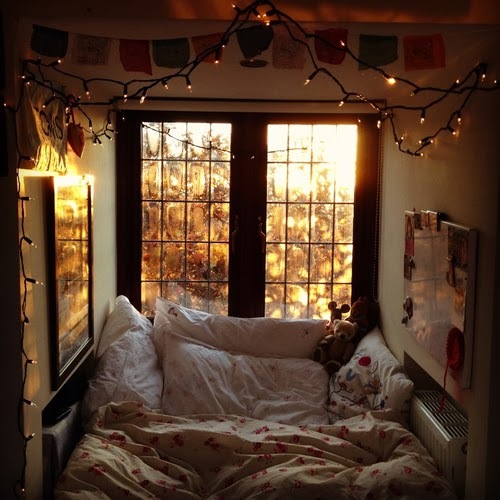 There's something quite relaxed about it. Above: From the fairytale "The Princess and the Pea", by Hans Christian Andersen, illustrated by Edmund Dulac. 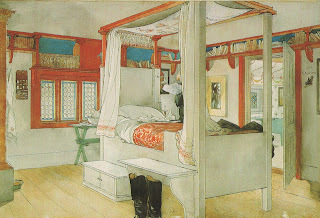 Above: A painting by Carl Larsson of his own bed. 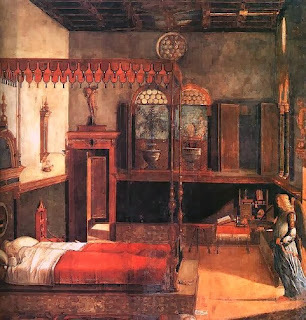 It's a room within a room, floating in the center. Above: A room from the Light Locations site. The bed is a rich coral velvet, providing all the drama needed, for which simple white bedding is the ideal foil. 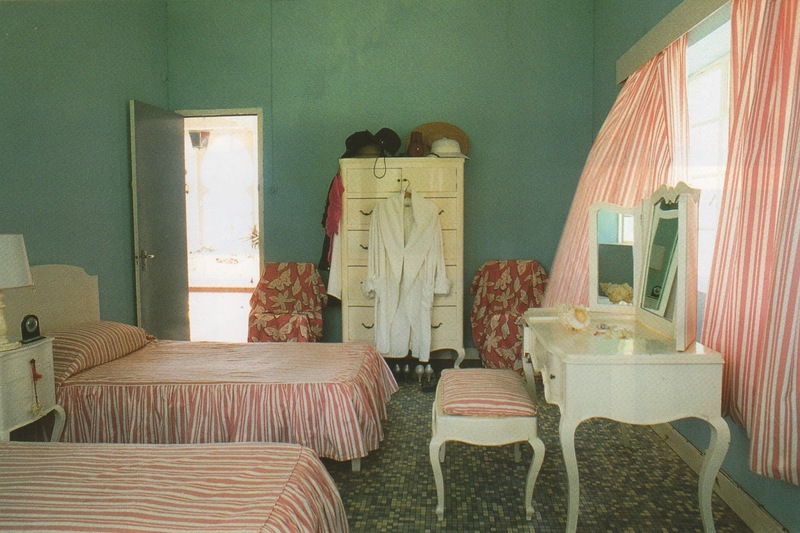 Above: Yves Saint Laurent's bedroom at Villa Mabrouka, with furniture designed by Jacques Grange. The bottle green bedspread adds depth to a mostly white room. 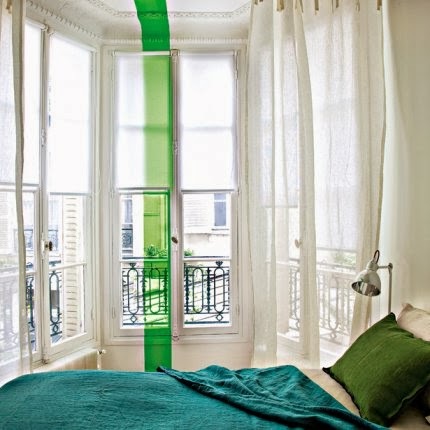 Above: A green line is a wonderful device to give this room a modern edge in a very simple way. 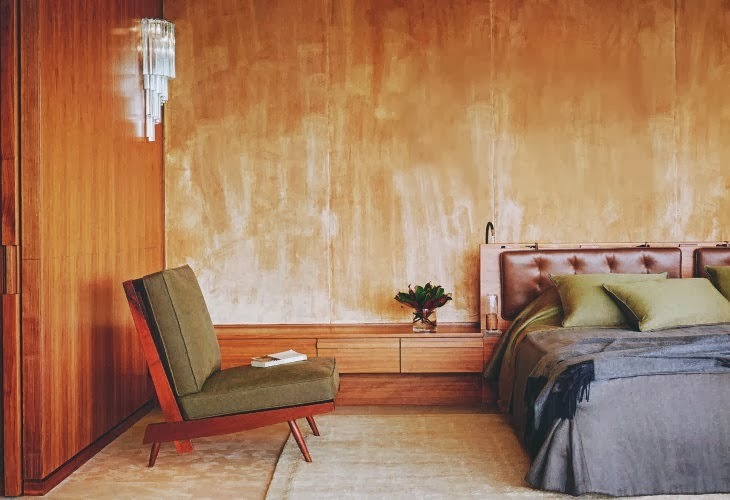 Via Marie Claire Maison. 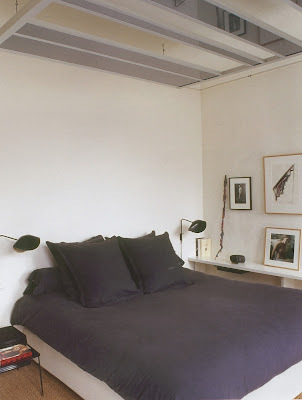 Above: The dark eggplant wall and floor allows the lovely crocheted detail on the bedspread hem to show up in a dynamic way. More here. Above: The single wide stripe is a wonderful graphic detail. 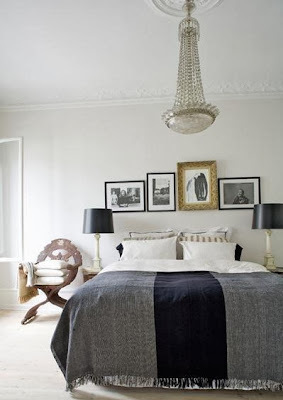 The fringe at the edge is an earthy texture to contrast with the shimmery chandelier and gold frame. Design by Malene Birger for her home in Copenhagen. 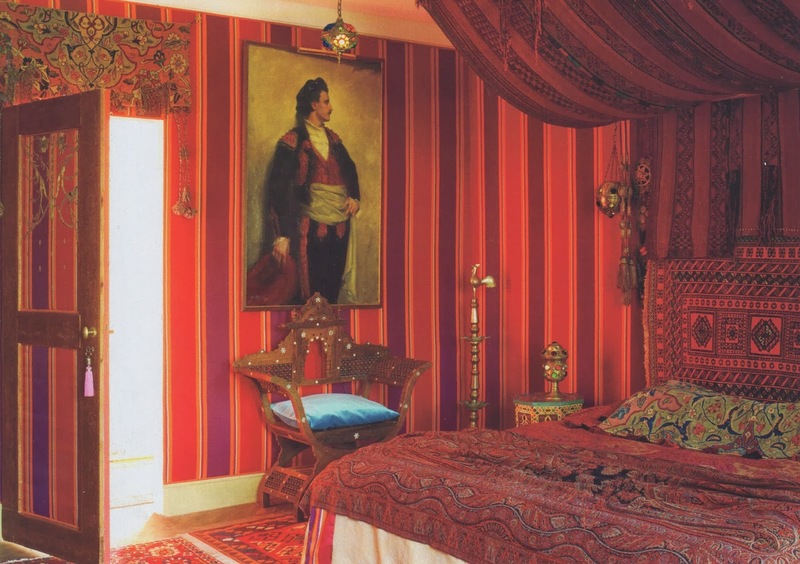 Above: This is from the home of gallery owner Patrick Seguin. As simple as it is, there's something perfect about it. 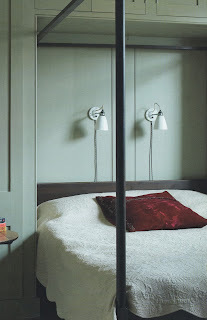 The Serge Mouille wall lights, a long shelf to the right, a Mategot table on the left. Overhead there's an art piece by Liam Gillick. For all the pedigree it's a very unpretentious relaxed bed. 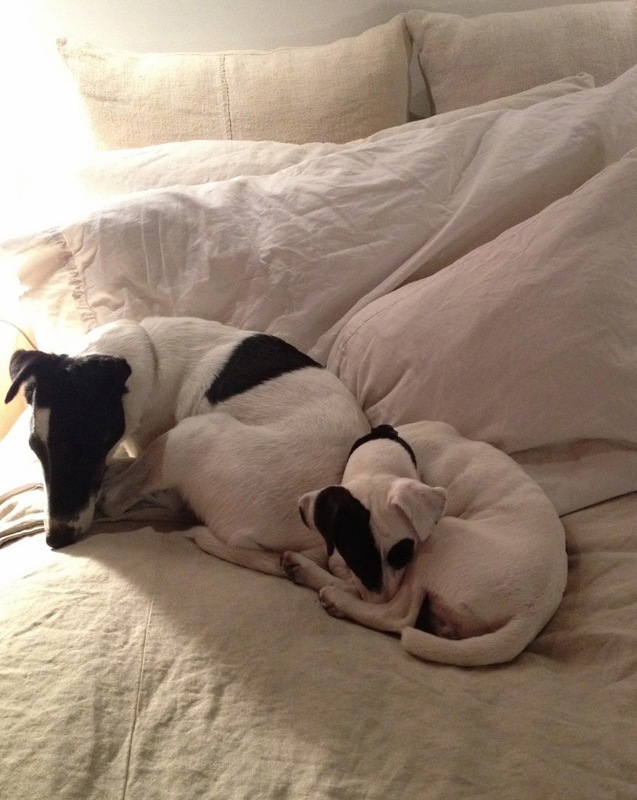 Above: Our dogs napping together. 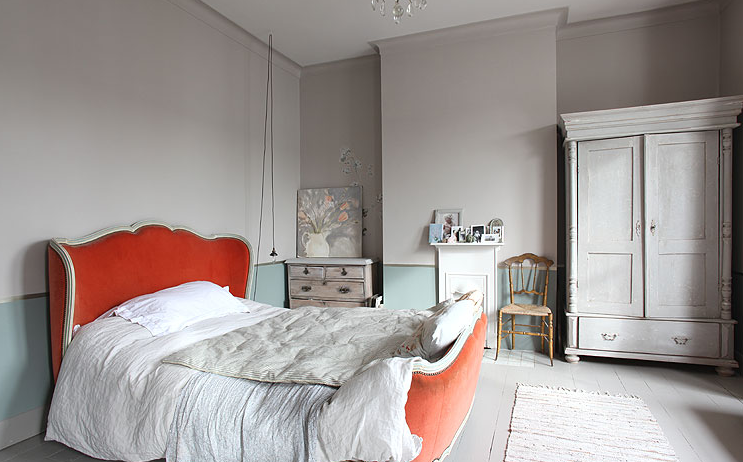 Above: A photo of our bedroom, taken by Victoria Pearson. 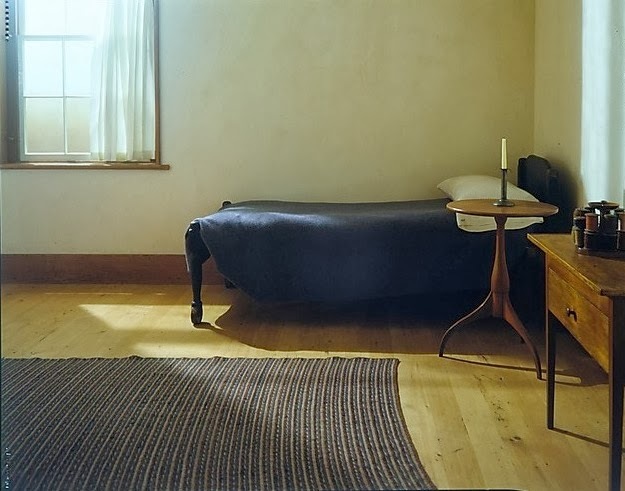 The bed is very simple...the visual interest comes from the Robsjohn Gibbings night tables, the african stool, artwork, a lamp, books and flowers. 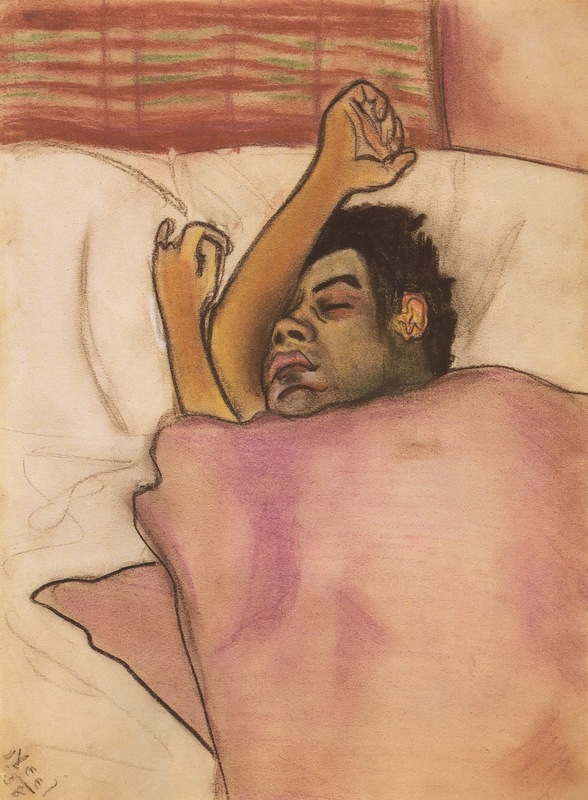 Above: Egon Schiele, 1911. 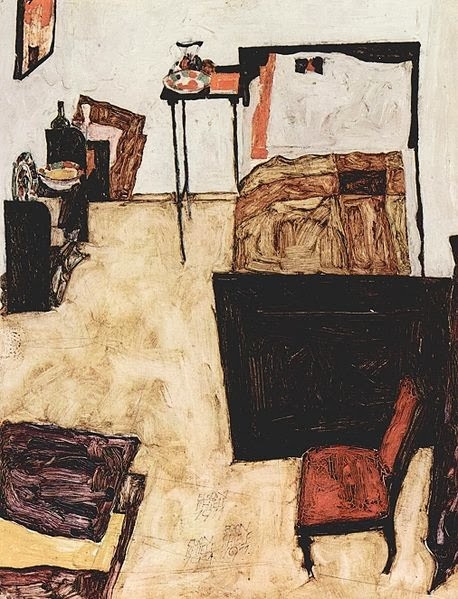 This is a painting of Schiele's room in Neulenbach. 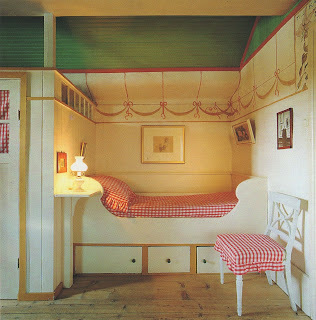 Above: A bedroom by Lucien Rees-Roberts in New York. 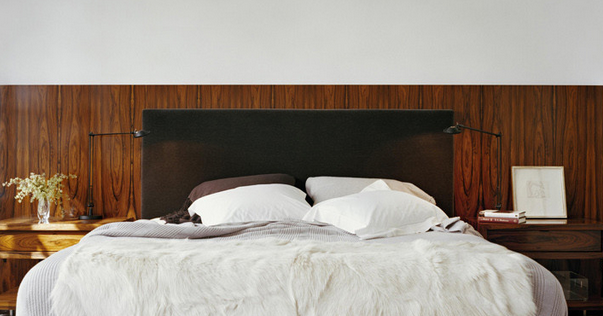 I like the layering of a soft headboard over a rich wood panel that extends beyond the bed, holding the night tables. 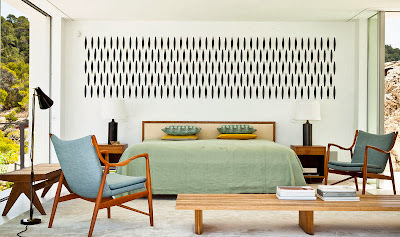 Above: The horizontal lines are emphasized through the elongation of the end tables pulling out from the bed. The glowing wood surfaces and textured plaster give a warm feeling to this bedroom. Design by Albano Daminato. 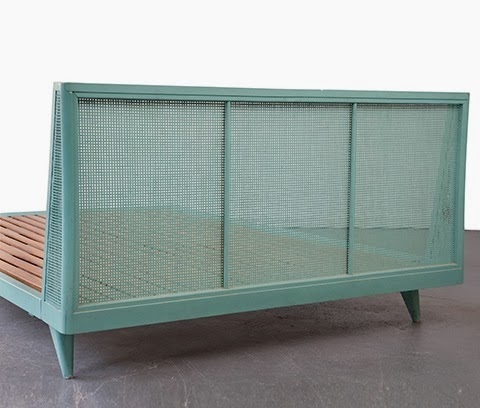 Above and below: A painted bed frame, with a mesh back, designed in the 1950s by Joaquim Tenreiro for a private commission in in Rio de Janeiro. From R Gallery. 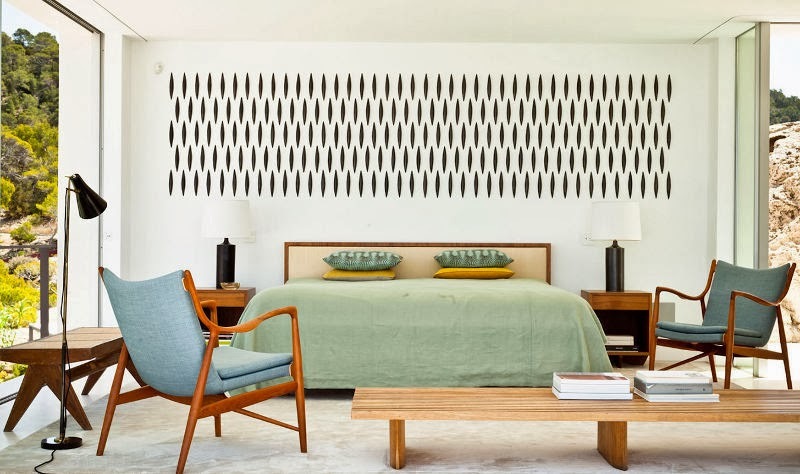 Above: Designed by Paris based Argentine Architect Luis Laplace, I am drawn to this because of the wonderful artwork over the bed. I've tried to find out whose it is but to no avail thus far. 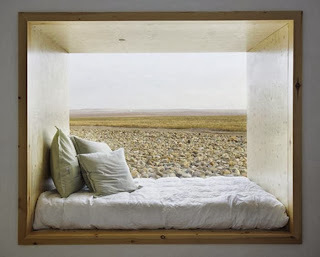 The setting between two large openings gives a sense of being set directly into the landscape. Above: The way this room is broken up horizontally gives a human scale to the very high ceiling. 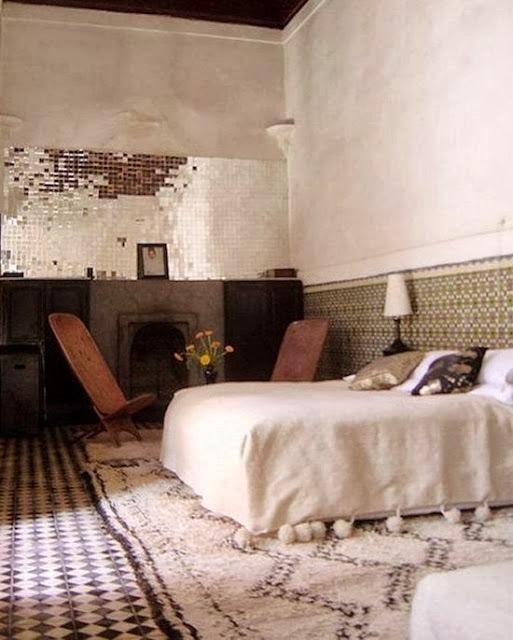 The band of tiles on the wall, and the rhythm of pattern on the rug and floor almost vibrate with quiet energy. 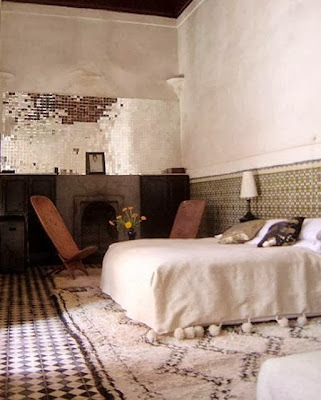 The shiny tiles over the fireplace would be far too much in most environments, but here they work. 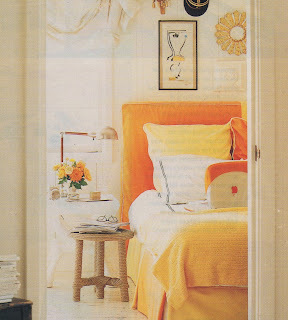 The oversized pom pom edging is a terrific bedding detail. 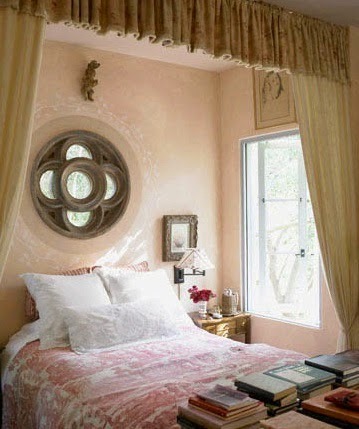 Above: The mix of patterns in this alcove is odd but interesting. 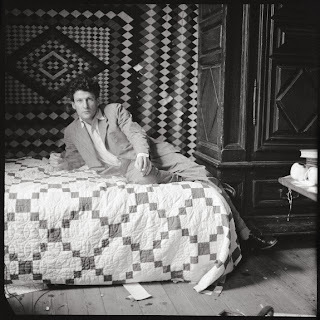 Above: Lucian Freud on his bed. 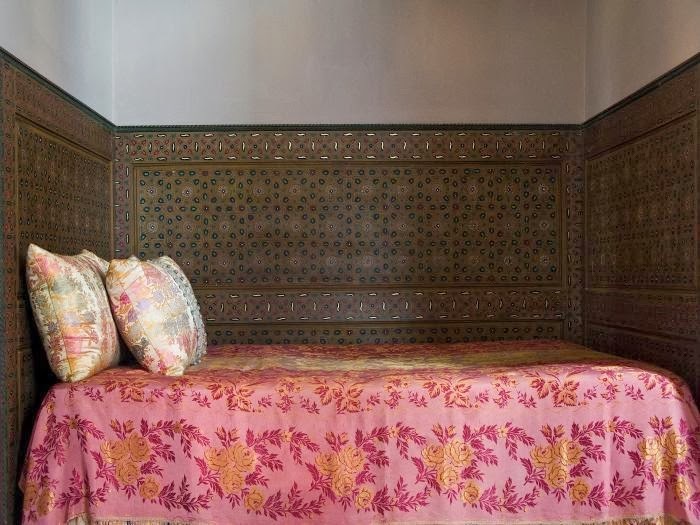 The diamond patterns reverberate between the wall tapestry, the woodwork, and the bedspread. 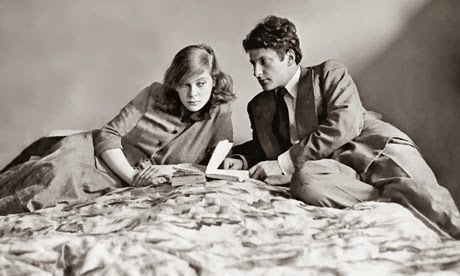 Above and below: Lucian Freud and his second wife Caroline Blackwood on their bed. 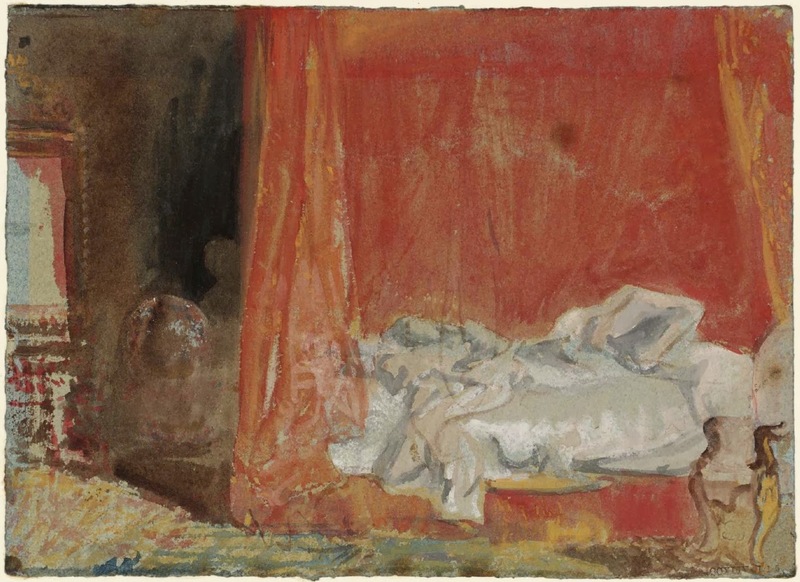 The painting below is of her in bed. Above: Taken at Manka's in Inverness, California. 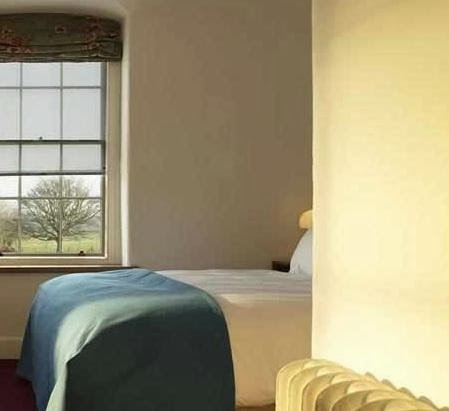 It's a wonderful feeling to sleep this close to a window...the warmth of the comforter and the cool breeze are just the right combination! 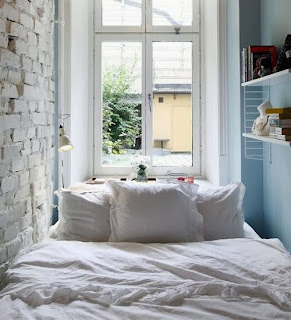 Above and below: A lovely combination of containment and view. Above: A variation on the containment and view idea. 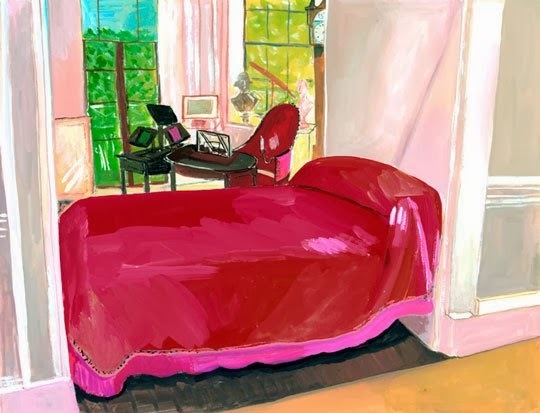 Above: Maira Kalman's painting of Thomas Jefferson's bed at Monticello. The bed is situated between Jefferson's office and his bedroom. 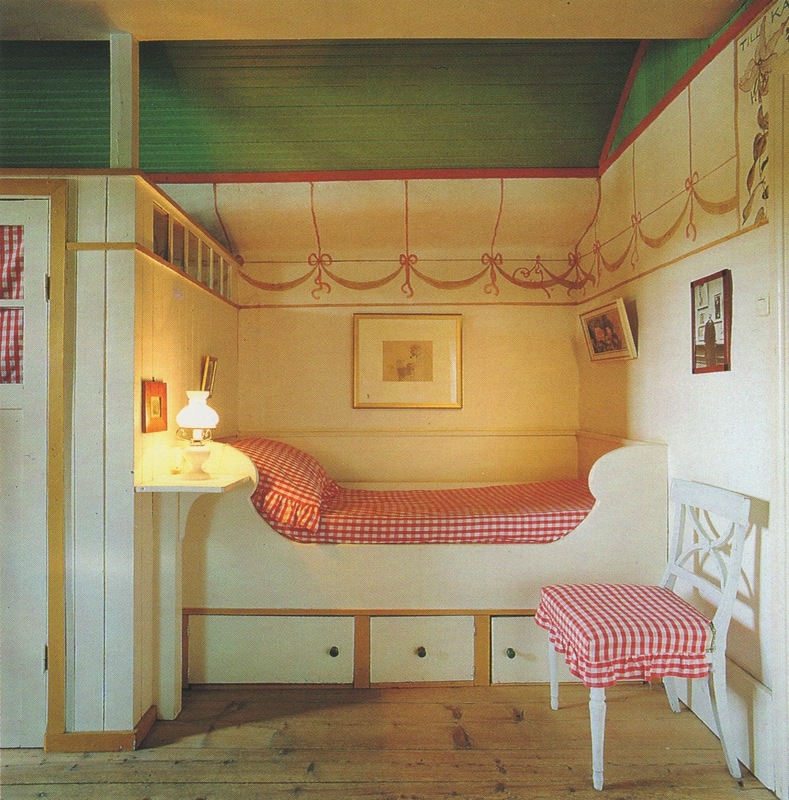 Above: A built in child's bed in Carl Larsson's home. 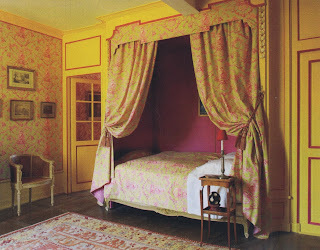 Above: In a guest room designed by Gerard Tremolet the a strong pink taffeta lines the alcove bed, with a toile used repeatedly on the curtains, bedspread, and wallcovering. 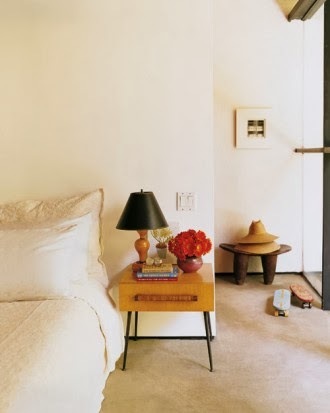 There's something magical about a bed recessed into the wall. 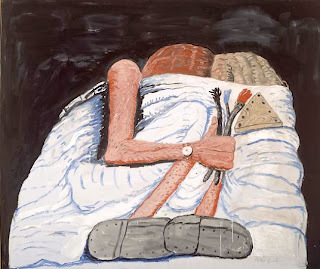 I've never forgotten one I slept in when I was 6 in a French home, in the town of Chaumont Sur Marne. It was more rustic than this, but I still remember how it felt to close myself in behind the red curtains. 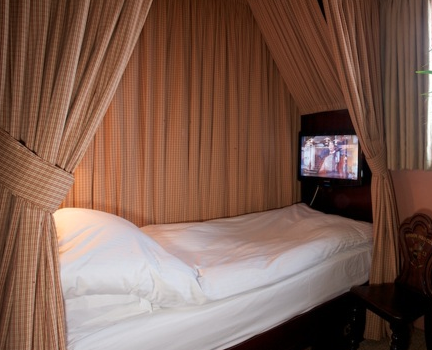 Above: Should you want to stay in a tented bed, The Portobello Hotel offers this one. Above: The guest room in Steven Gambrel's Sag Harbor home. 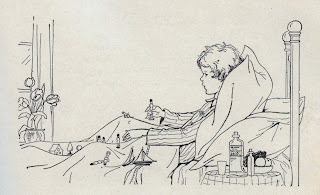 Above: An illustration from Robert Louis Stevenson's poem "The Land of Counterpane", about a boy imagining the bedspread is a countryside for ships and sailors to move through. 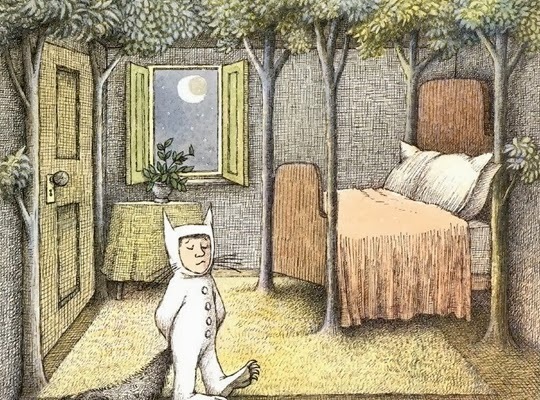 Above: In "Where the Wild Things Are" by Maurice Sendak Max's room evolves into a jungle. 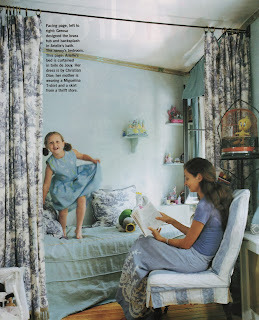 Above: What a lovely bed for this girl...the soft faded blue spread, the pale blue walls, the toile curtains offering a place to hide behind, and a window too. Above: This sumptuous bed envelops in blue and white, from World of Interiors. Above: Pauline de Rothschild's London bedroom designed by John Fowler. Above: A Chinese Ming Dynasty bed. At night the curtains are drawn for privacy. In the daytime it can be opened up for visiting. There's an extra space in the front for sitting, and storage under the bed area. Above: This magnificent exotic bedroom is designed by Gerard Tremolet for his chateau in Normandy. 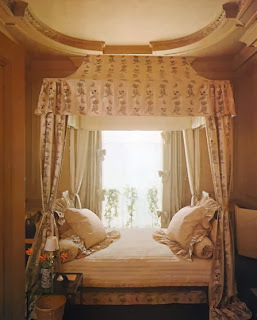 The headboard is upholstered in an antique carpet. Above: Vittore Carpaccio "The Dream of St. Ursula", 1495. Above: From Farrow and Ball's book "Living with Colour". The simple wood frame encloses the space in a minimal way, defining the sense of the space. Recessing it into the cabinetry gives a built-in feeling. Above: A bedroom in Steven Gambrel's Sag Harbor home. 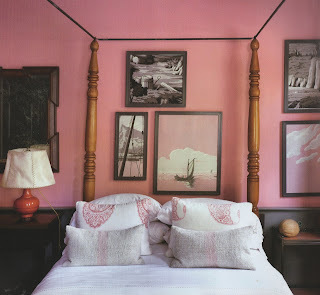 The boldness of the pink gives a strong contrast to the charcoal and white. 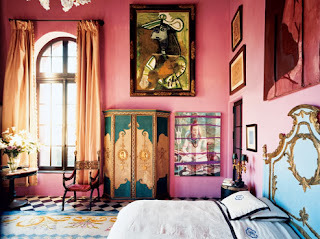 Above: Penelope Bianchi's master bedroom in Santa Barbara. 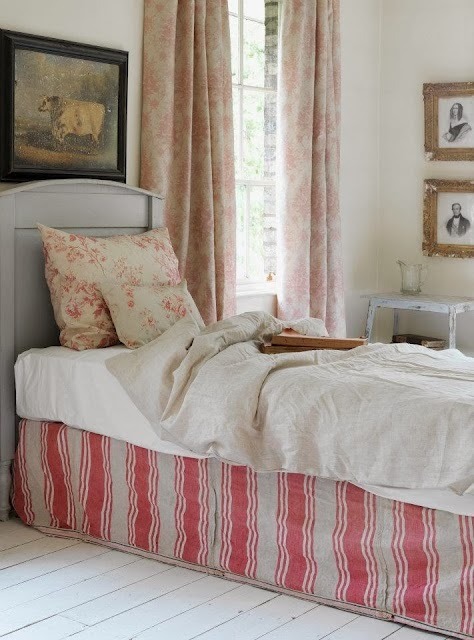 Every detail is carefully chosen, from the antique voile curtains, to the 18th century toile bedspread. 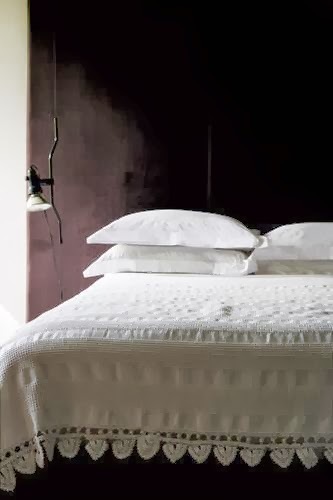 Above: This bedspread has a lot of character, with the scalloped edge and the low placement of the contrasting seam. Above: Stripes always work well on bed skirts. Above: Sometimes using one fabric everywhere just works. 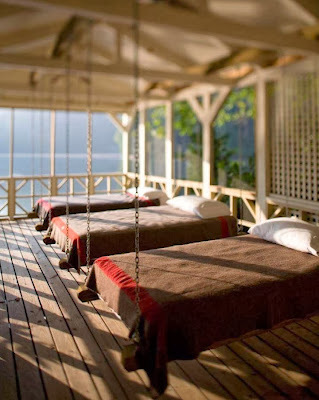 This is an old photo I saved...I think it's a hotel in the Mauritius. 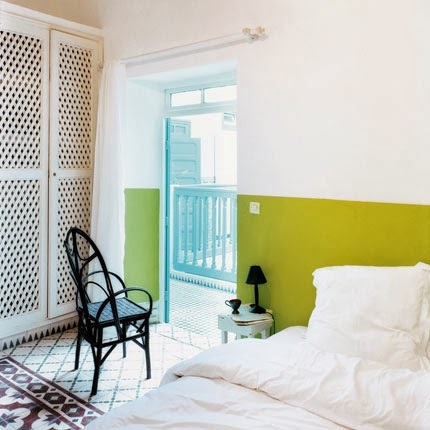 This approach works best in transitory places like guest rooms, and hotels. Above: William Rankin "Bedroom of Lady Mendl" 1920-29. Above: Julian Schnabel's bedroom has an incredibly vibrant color palette. Above: And the Simpsons share Schnabel's sense of color in their bedroom. 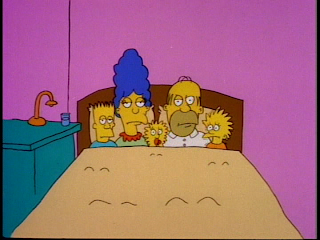 Here the whole family is squeezed together in Homer and Marge's bed. 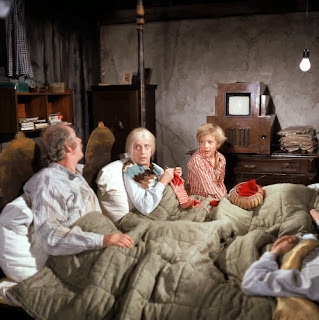 Above: In a scene from Willy Wonka, Charlie's grandparents are shown in bed where they spent all their time, as they weren't well enough to get out. 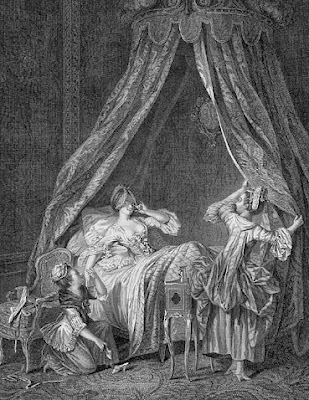 Above: Antoine Louis Romanet (1742-1810), "Le Lever". 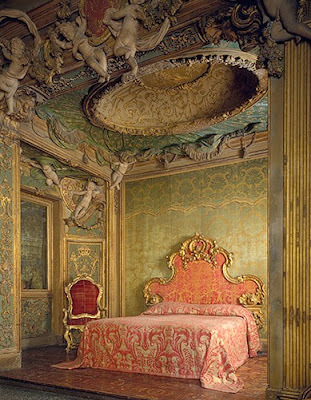 Above: This is an 18th century Venetian bedroom from the Sagredo Palace at the Metropolitan Museum. 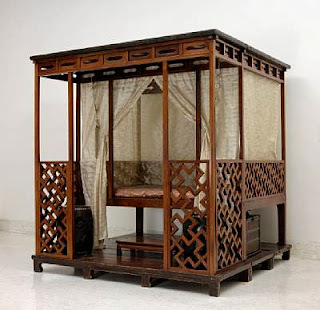 It's part of an online exhibit by the museum, "The Bedroom". Above: Jean Harlow on the set of "Dinner at Eight", 1933. 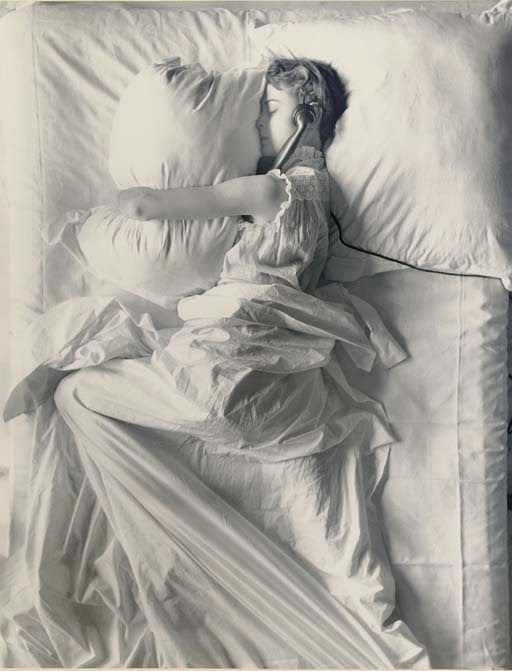 Above: Alice Neal "Jose Asleep" 1938. 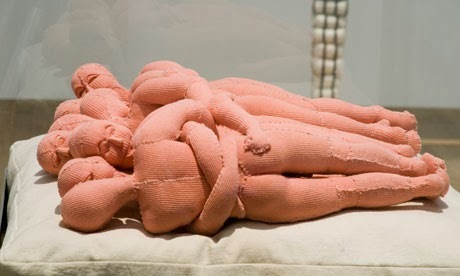 Above: Louise Bourgeois "Seven in Bed", 2001. Above: Philip Guston, "Couple in Bed", 1977. 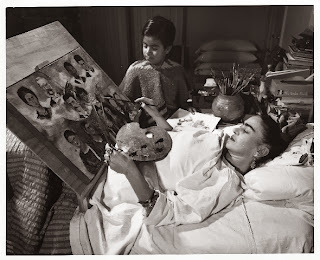 Above: Frida Kahlo painting in bed. Above: We were just in Mexico City, and spent time touring Frida Kahlo's home, the "Casa Azul". This is a photo I took of her daytime bed. Because of her spinal cord injury she spent a lot of time in bed, and had a different bed for day and night. This one has a mirror up above. 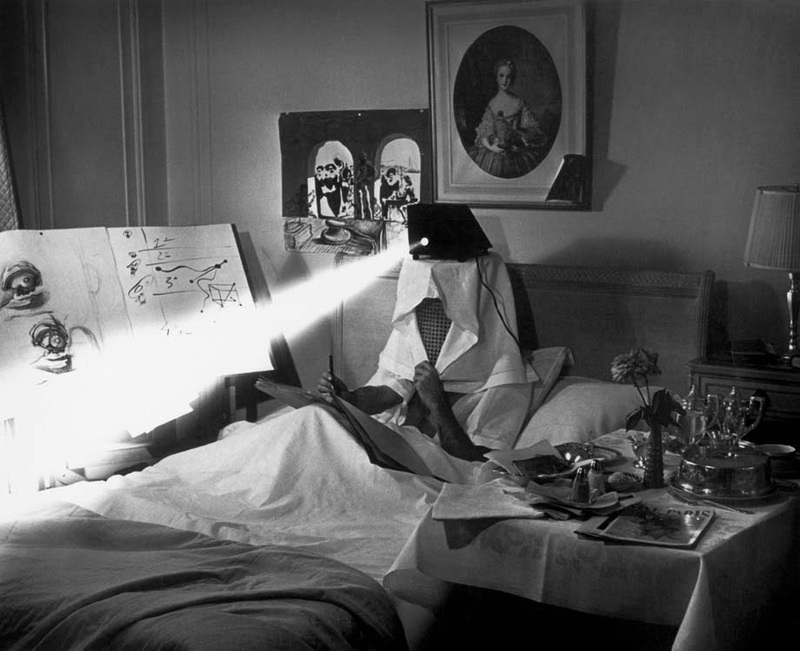 Above: Philippe Halsman's photo of Salvador Dali, 1943. 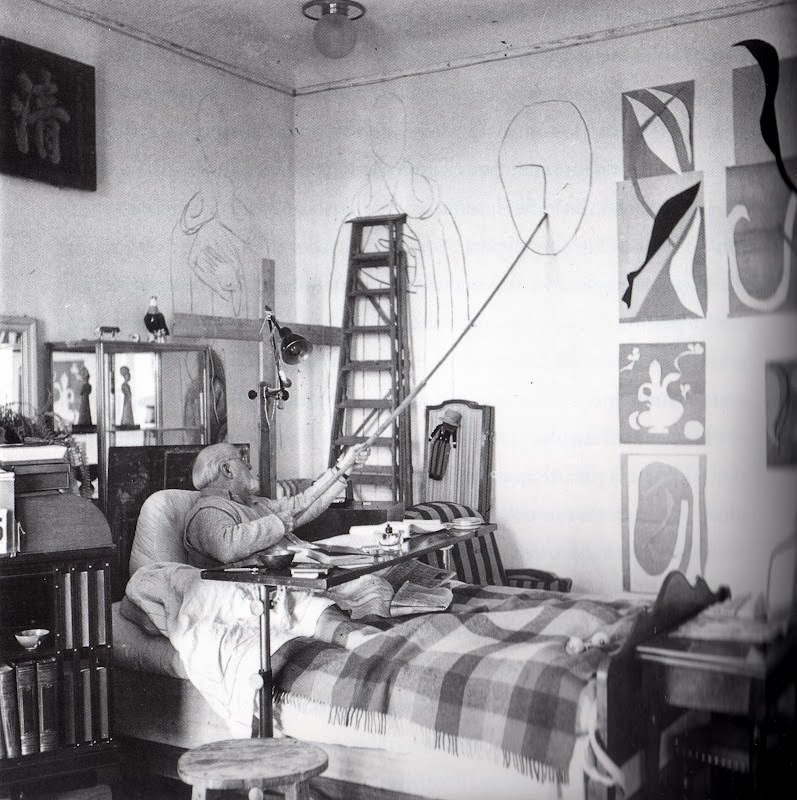 Above: Henri Matisse drawing in bed, 1950. Above: Elements from North Family Dwelling, New Lebanon, NY. 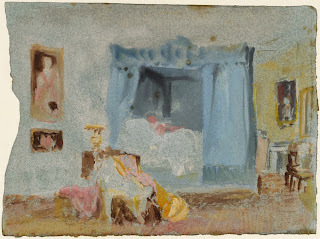 1830-40. 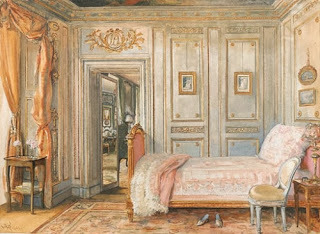 At the Metropolitan Museum, part of an online exhibit by the museum, "The Bedroom". 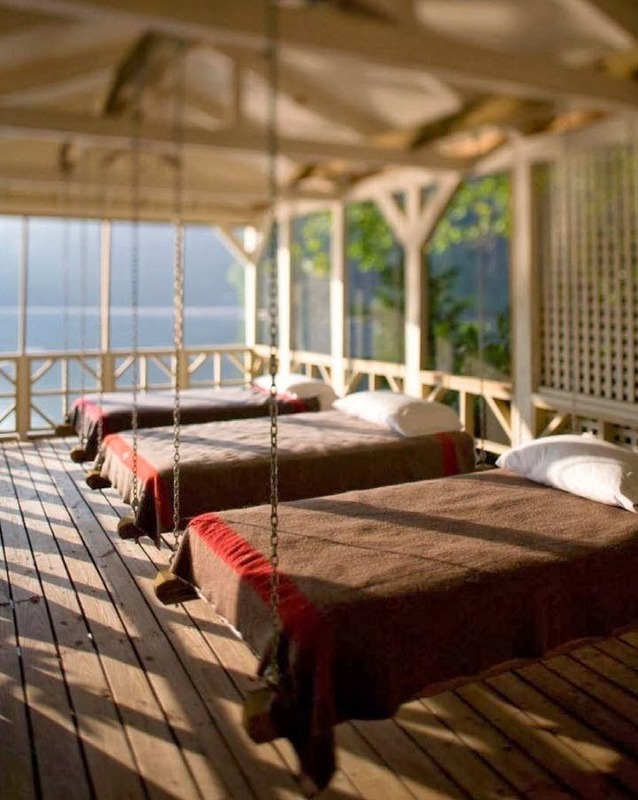 Above: Beds hanging on a porch overlooking a lake. More here. 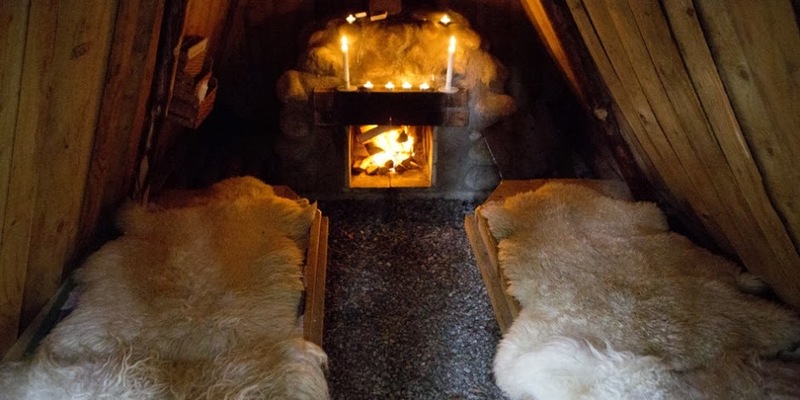 Above and below: Luxury camping with a fire at the Kolarbyn Eco Lodge in Sweden. 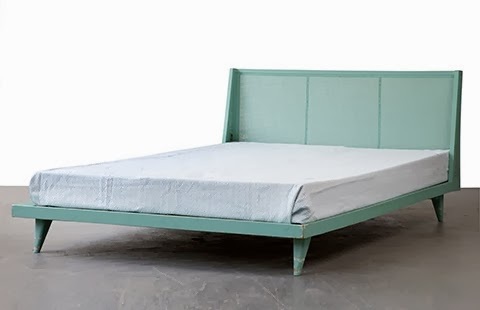 Above: Robert Rauschenberg "Bed", 1955. This is one of his first "combines", his term for attaching found objects to a traditional canvas support. 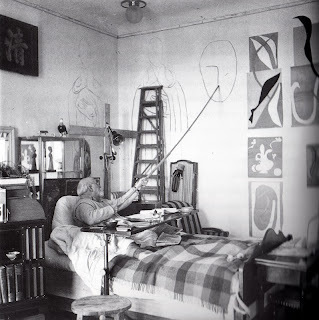 Apparently he used his own bedding, and drew and painted on it. Above: A scene from Richard Lester's film "The Knack...and How to Get It", 1965. After Hurricane Katrina I heard this piece on This American Life that I loved. 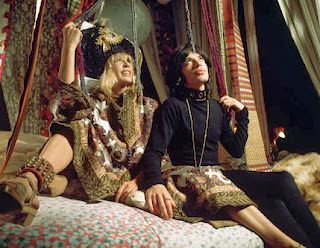 It was the optimistic view held by the storyteller, and how she used her imagination during time spent floating on her mattress. here's a link to "Water Bed". 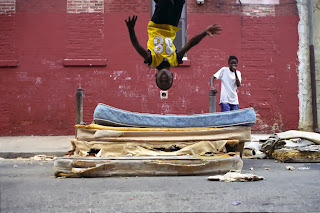 Truly, her mattress becomes her island here!